If your business relies on your control systems to be operational for more than 75% of your production then regular servicing is a very proactive thing to do. Regular servicing ensures your control systems/equipment are safe, still, complies with regulations and minimises downtime and disruption to your business. Regularly servicing your equipment is the only way to minimise the downtime of a faulty product. Whether you’re a small business or a large organisation the proactive cost of a regular service is insignificant to the reactive cost of a breakdown. RDM can offer regular contract servicing designed to meet your requirements with built-in breakdown cover. Ensuring that at least once a year your systems have a health check, any potential problems can be identified and dealt with appropriately. An RDM consultant will visit your premises, discuss and identify the areas which require our services. Each system that’s serviced will be documented, new drawings created if required and spare parts recorded and stocked. In the event of a breakdown, RDM will attend site within the stipulations of the contract. We carry the correct stock to repair the fault ensuring that your downtime is kept to an absolute minimum. All this for very competitive rates which truly outperform the costs of any amount of downtime. If you don’t want a regular service plan but feel that you would like your systems looked at this service is also available and will be given the same attention as the service contract. Breakdown cover will not be included and although we stock most parts it can’t be guaranteed we’ll have the part at the time of breakdown. The service criteria will be determined by your control systems your business criteria and the level of cover you require. The best service plan will be recommended to you by our senior technicians but can be tailored to your budget and your needs. Any other site or equipment specific requirements will be added where required. If health and safety in the workplace is an important part of your core business structure then call RDM Installations on 01484 664330 to discuss your service plan requirements. Factory downtime is a costly headache that most businesses would prefer to live without. Employing the right company that can correctly diagnose the problem and repair it quickly and efficiently is key to every industry. The downtime and inconvenience in some industries can lead to high none productive costs resulting in temporary warehouse closure and a backlog of orders. 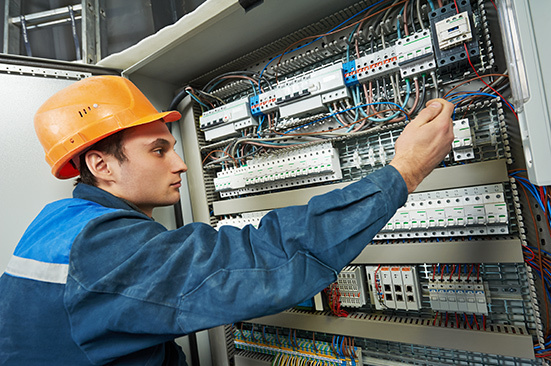 As control system installers and integrators, RDM is the right team to diagnose and fix any electrical breakdown. All our breakdown technicians are trained in all kinds of control system circuitry allowing them to quickly identify the fault. As part of our standard van stock, our engineers carry a whole range of control switch gear to overcome most standard faulty products ensuring that the disruption and cost are kept to a minimum. If you experience a control system breakdown and factory downtime is an issue that you can’t afford to happen then call RDM on 01484 664330 to discuss your requirements. The installation is a crucial part of any project and one where even the most pre-eminently planned projects can present numerous problems. With an extensive experience and knowledge in most industry sectors, RDM can deliver peace of mind providing solutions to unexpected issues. Hazardous Area installations is a complex business where there’s no room for complacency. Our customers can be assured that our ComPex certified engineers work to very high standards and to the DSEAR regulations. RDM provides installation and testing & inspection in this area. RDM Installations acknowledges that quality control is a vital part of any business and organisation. Maintaining standards within the business management procedures is as important as the quality standards that must be met by our engineers when carrying out their duties. All our staff are qualified to perform their duties and have annual training in all areas of health and safety. Copyright © 2019 RDM Installations. All rights reserved.